Canyon Creek Art - Hear what our Customers have to say . . . 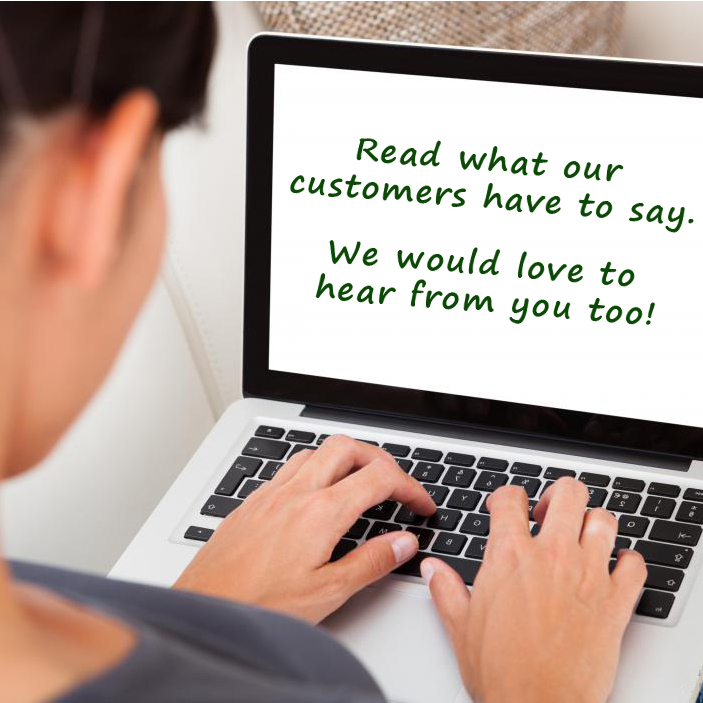 Hear what our Customers have to say . . . Please send us your feedback and/or comments to include on this page. I was asked to have an article written about our company and printed in a Hamburg, Germany newspaper framed along with the English translation next to it. I had no idea how to go about getting this done. The frame would have to be quite large to enclose the original full page article and the translation needed to be reduced from 4 pages to 2. The owner and CEO of our company asked to have this framed and displayed in a prominent place at our corporate office, so I wanted it to look professional and elegant. Jerry knew exactly what to do to showcase this article. He created a museum quality print that will never yellow or show its age. The frame is beautiful. I couldn't be happier. I will be bringing all our framing projects to Jerry from now on. Great quality products and excellent customer service! I am a photographer and have ordered canvas and fine art prints of my photos for clients from Canon Creek Art. The quality of print has been excellent. What I've appreciated the most was to be able to work closely with Jerry to ensure the prints are exactly to my liking. He is very knowledgeable and experienced (4+ decades) so you can count on his advice! From a friendly atmosphere to detailed discussions, they've ensured that I've walked out the door happy each time. For a recent print of a tricky dark-toned image, I was provided a personalized customer experience to determine the best color, profile, and paper settings for my image. The end-result was fantastic! For those reasons, I would recommend this business to anyone looking for a quality printing and framing. I am a paper conservator and I wholeheartedly recommend Canyon Creek. Jerry is a pleasure to work with, and the shop provides great quality as well as appropriate long-term methods of framing from a preservation standpoint. I completely trust them with the objects I send their way once conservation treatment is complete, because I know nothing will be done to negate the work I just did. They take care in all they do, and have a great aesthetic too. I send so many of my clients to Canyon Creek, and I'm grateful to have a trusted framer in the area! I’d never had art scanned or prints made. Jerry explained everything and made the whole process less intimidating for an amateur. Prints came out beautiful. Also did a quality job framing the original. Highly recommend. As my art career begins to flourish I was looking for a source that I could get my paintings scanned and reproduced. The criteria was simple – the source had to be awesome! Well I found that source. Canyon Creek Art and Frame. Jerry was extremely knowledgeable – I got a great education while I was there. They have a beautiful supply of frames as well – no coupons taken here, but I think the selection, quality of products and workmanship far outweighs the coupon. I brought in a large 24 x 30 Oil painting to be scanned – although they don’t scan on site – they do handle that process for you for a nominal charge. When they brought my original out all framed and stunning I was delighted, then they brought out the scanned print on canvas. Same size, heavy canvas with a protective layer, heavy stretcher bars and the print was on the sides as well giving the piece and amazing look. I almost cried I was so happy with how it turned out. I now know I have my source and I will not be disappointed for future projects. I’ll be sending all my clients to Jerry and Canyon Creek Art for their framing needs as well. Exceeded expectations!!! I've used this shop for about a dozen jobs and I've always been very satisfied with the work. They are very knowledgeable, professional and accommodating. The are great to work with and I their prices are very reasonable. I went in today to get a very special pastel painting framed. I know nothing about art or framing and they were great! They were helpful, informative and showed me options with advice without being pushy. I'll get my painting back in 2 wks and I think it's going to look wonderful. Also, they have some fun little artisan gifts and framed art that is for sale so it's more than just framing. I got two unique glass bowls for gifts that were under $10! Check them out! I was very satisfied with the work I had done @Canyon Creek Art and Frame! I wanted to surprise my husband with some pictures of snow-capped volcanoes in his home country of Ecuador and of his great grandma the last time he saw her before she died. Jerry and Barbara and Liz understood how important these projects were and delivered a superb product. (I got stretched canvas; love it) And they even helped me by revealing the finished product to him in person; so they got to see his reaction! They know their stuff! Great suggestions. Excellent work. Very welcoming. I recommend highly. Not only was your customer service & quality of work fabulous, it was really really nice to feel like you guys care about the Dallas art community and my personal art. Thank you! Jerry is very knowledgeable and service oriented. Good job ! Great job on my certificate framing. You guys give excellent service. I can now hang it in a prominent place with pride. Extremely helpful and very attentive plus the quality is outstanding!!! Complete professionals that not only know their craft but are attentive to the customer's needs. Will drive wherever they are to keep sending business. Way to be, the way companies should be. The owners are always helpful and provide exceptional insight regarding optimal matte and frame pairings to best accentuate the artwork. I love any art work my son makes, having it framed and ready for me was a wonderful service! Great experience . Great help in directing us to the proper frames. Thank you very much. Brilliant job, sirs and madams, restoring my butterfly collection, considering my damage to it. Thank you! CC Art and Frame is the BEST framing shop I have ever been to because of their excellent customer service and their depth of experience and expertise. You can instantly tell when you interact with the staff that they are true artists and craftspeople and they have your best interests in mind. the other day the owner called me to address an issue we could fix on our current project that really improved the quality. My wife said "You don't get that service from anywhere else!" Love this place - going to get all prints and framing done here from now on! Jerry, Thanks to you and Elizabeth for doing such a great job on my prints and the framing of the oak tree. They're great. I've posted a little teaser on my Sturch Photography FB page and, fyi, I have included the name of your store and link to your store. Thanks for the classy job. I picked up the Story Teller picture-it hangs in the house now. I don't remember being more pleased at the combination of mat and frame. "Thanks a Million for the absolutely fabulous framing on my four pieces. They turned out more beautiful than I had imagined them to be. I'm enjoying each one immensely; and wish I had more wall space to display more pieces!" "Thanks guys for doing such a great job on our prints and posters. When our previous framer went out of business we didn't think we could find anyone who could do a comparable job, BUT you have done all of our art beyond our expectations. We will be back." Canyon Creek Art Gallery is the place to go for the perfect frame to make your art pop. Love it! Love the new frame on "View From The Park". Bought it in New York 26 years ago and with an updated frame, looks fabulous. The right frame makes all the difference. I had my graduate degrees stashed in a filing cabinet for years until I trusted someone enough to get them framed. After the outstanding job they did for my sister, I was not only comfortable but also excited about Canyon Creek Art framing mine. The care and quality that they put into my order made it easy to trust their suggestions about style and design. The frames are a work of art, elegantly displaying my degrees. We appreciate the excellent service you provided at a very difficult time. We will definitely be using you in the future and will recommend you to all our friends! Everyone was extremely helpful and really listened when Maura told them what she wanted. The framing turned out beautifully! I searched on a few websites and happened to stumble across Canyon Creek. I went in for a price check and decided their prices were reasonable and brought in both of my diplomas. I was so impressed and pleased with their work that I decided to have my Thomas Kinkade puzzle framed. Custom framing is the way to go! One of my colleagues suggested I do it myself, but if she saw Jerry's work, she would understand why I wouldn't even dare to attempt it myself. It is a rare to find people who know what you want and get it right the first time. Most importantly, they are friendly to talk to and I wouldn't dare go anywhere else. Love doing business with you guys! Well, How beautiful is that!!!!! And it looks beautiful in my house as well. I love the framing and it exceeds my expectations, just like everything you frame for me. I've been taking artwork to Jerry for a decade and I won't use anyone else: period. His easy-going demeanor coupled with a remarkable talent of combining all the elements of art, frame, matting & other nuances that make each piece a lasting treasure is what sets Canyon Creek Art apart. Do yourself a big favor & go see him. It'll put a smile on your face...and amazing art on your wall! I have had several prints and diplomas framed by Jerry over the years. I had a watch that had originally belonged to my grandmother, which was given to me by my grandfather, with a nice note after my grandmother's death. I kept both note and watch in a drawer until I had Jerry frame them for my daughter. He did an exceptional job of showing off these heirloom keepsakes. I have also had counter cross stitch projects framed by Jerry. I won't consider taking any of my prints, cross stitch or other projects to anyone but Jerry! Jerry and lovely wife Barbara do wonderful work at Canyon Creek Art. They can make your home or office warm and inviting with beautiful pieces of artwork. Wonderful to work with, customer satisfaction is a must. Very community oriented and Jerry was a classmate in LR Class XXIV - the BEST and UNEQUALED CLASS! Canyon Creek Art is the place to have all your photo's and art pieces enlarged, matted and/or framed. My wife and I have used Jerry several times for enlarging previous art works and photos as well as matting and framing high end art. They do exceptional work and I highly recommend their services. I love the panorama print on canvas of my Machu Picchu! You did a masterful job, and it is the centerpiece of my office. Everybody loves it! I have known Jerry for nearly 10 years. In addition to being a genuinely thoughtful and compassionate person, he consistently demonstrates exceptional leadership, planning, and customer service skills. Jerry is also the consummate team player, forging relationships with key community and business leaders. Jerry’s innovative yet strategic approach to problem solving has resulted in new, more effective strategies being adopted in his business and the community groups in which he is involved. I hired Canyon Creek Art to have a photograph printed on canvas, with great results delivered on time. Jerry is an expert at his craft, and he is meticulous with the details. His finished products are guaranteed to please. Jerry did a superlative job framing the Mutts cartoon print for me! Jerry worked with creativity to frame my piece; it had all the characterists I wanted plus some of his own creativity thrown in. Jerry and Barbara Cornelius run their business with trustworthiness, creativity, and a flair for the "artsy"! I wouldn't think of using anyone else in the future! Jerry has done great framing work for a number of pieces of art for both my home and office. He runs a great business and does his job well. Visit Canyon Creek Art for personable service, a good value and great results! Jerry is the "go to" person for any type of framing needs that you may have. He has been very helpful in his suggestions that make art work or photographs really stand out. He has the ability to take the project from start to finish with very pleasing results. Canyon Creek Art gives expert craftsmanship and great results. Jerry is not only an expert at what he does, he is extremely creative and honest and reliable. I would highly recommend Jerry and Canyon Creek Art for any and all of your framing and decorating needs. Jerry took my favorite memory of a quaint hotel in Peru and turned it into a Kincaid-like “painting” on canvas. Friends can’t believe that it is a photograph and not an oil painting. Many, many years ago I decided to try Canyon Creek Art and Frame Shop and I have been a loyal customer ever since. Jerry is the absolute BEST!! He is so helpful and I'm always pleased with the results. Recently Jerry converted one of my photos onto canvas and it looks wonderful. We found the perfect frame to go with it. I'm looking forward to having Jerry put some more of my treasured photos on canvas. Can't say enough good things about Canyon Creek Art and Frame. Arriving from out of town for the wedding ceremony of our daughter, we desired to have her wedding portrait framed and available at the reception on Saturday. We were told a 16x20 frame was required, but found upon arrival that the portrait required a 16x24 frame. We found Canyon Creek on the internet and paid Jerry Cornelius a visit on Thursday afternoon. He was very courteous and assisted us with the selection of a frame. He was able to get the framing materials and complete the job by Saturday morning. Thank you, Thank you. I found Jerry to be courteous, amiable, approachable and professional. All was appreciated by myself, my wife and my daughter. I would recommend Canyon Creek without reservation to any person. Just want to say thank you from the Richardson Fire Department retirees who received the matte's with their pictures in them, they turned out great!! We called and only gave a days notice and they turned out great!! Jerry and his wife were very accommodating, especially with giving us direction and helping us making the decision. My company has used Canyon Creek Art & Frame for years. Jerry is the only one I will call for our business needs. I know that I can give Jerry something to frame and I don't have to worry about it. The standards he holds himself to are very high. I trust his opinions. He never steers you wrong. He'll do what you ask, but is not afraid to suggest something that just might look better and 9 times out of 10 he's right. You can't go wrong with Jerry and Canyon Creek Art & Frame. Jerry Cornelius of Canyon Creek Art & Frame is a master at his craft. He knows art and he knows how to frame it. You will be extremely pleased with his work. Canyon Creek Art & Frame does good work. I've since moved to the Texas Hill Country, but from 1999 to 2001, Jerry was my only framer. I no longer frame my work, as I don't need to. When I did, Jerry not only had an eye for matching framing materials to the subject, he was an encyclopedia on the right materials to protect fine art. I don't know if I was privileged, but I felt like it.... I was invited to his home for the annual Christmas Soup Cook-Off. The biggest surprise.... he has an identical twin! I've never been at a loss for words until I was greeted at the door by these wonderful guys. I may be giving away a family secret, but in the passing years since my move, I think of them every Christmas! Plus, it's really cool to know that God made two! If you have valued art, trust it with Jerry. Even if it's not valuable, but just your whimsy, he'll make you feel like it's a treasure. I have been going to Canyon Creek since 1998 for my custom framing. I can count on Jerry to do a wonderful job for me. Even though I pick the matte and frame sometimes it doesn't finish out as I was hoping it would. But, Jerry will do everything to make it just perfect for me in the end. I don't live in the Dallas area any more but still come to Canyon Creek for my framing needs. I am delighted with the quality of craftsmanship that I have consistently received from Canyon Creek Art & Frame. For business art, they have impeccable taste. For personal pictures, they have provided a lovely, timeless way to portray my loved ones. I cherish the works of art that Jerry has developed for me and recommend his work without hesitation. I was referred to Canyon Creek Art & Frame shortly after moving to North Texas in the late 1990's. I only wish I could remember who told me about Jerry's shop so I could thank them! Over the past ten years we have entrusted Jerry's expertise with lithographs, needlepoint and limited series prints. His work is a direct result of the passion and experience he brings to the art of framing. We have loved every piece he's done for us and have referred him to friends and family and will continue to do so with genuine enthusiasm. Anyone who says you have to go inside 635 to find a great framer has never been to Canyon Creek Art & Frame. I had a framing project of a large poster for my client in Texas and found Canyon Creek Art and Frame online. The service I received from Jerry and his team was fantastic. Being located in Los Angeles, I was not able to see the framing options first hand but Jerry sent me photo's of all the different options in an email. We selected a frame and mat and Jerry and his team in no time assembled the piece and delivered the artwork to my client. Feedback from my client: "Love it" and they have several other pieces of artwork they would like to have framed by Canyon Creek. In short: excellent service. I have a very rare picture of my grandfather when he enlisted in WWI. After some research I came across Canyon Creek Art & Frame. I have read and heard lots of great things about Jerry and his work. After talking with Jerry he had informed me the best way to go was conservation framing. He took his time and explained every detail and made sure I was going to be satisfied with the outcome. He also went to great lengths to recreate the matting as if it were done back in that time period. When I saw the finished piece I was amazed on how it came out. His attention to detail and his knowledge of the business is 2nd to none. I have and will continue to use and refer my family and friends to Jerry for all my framing needs. A simple silk painting is now a work of art. Jerry worked with us patiently and provided options/ideas that made us feel right at home. Feeling good after placing the order was the beginning and feeling GREAT receiving the finished product took us to the next level. Sri & Nalini ~ El Dorao Hills, CA. Jerry has done a wonderful job for us. His attention to detail and the quality of his work is magnificent. I was fortunate to find Canyon Creek Art and Frame online. We have a complete collection of Andy Warhol "Endangered Species" prints that we could not trust to anyone. Thanks to Jerry, they can now be viewed in our new banquet facility, The Endangered Species Gallery, in all their glory. Our guest comment on the framing just as much as they do the actual art. We will be back for future framing. I needed to frame a rare bible page and your average framer could not be trusted with the document. After talking with Jerry for ten minutes, I knew that I was in the right place. His knowledge of conservation framing techniques quickly led me to hand over my page. The completed project is absolutely stunning. Most people that visit my home want to know more about the frame than the bible page. I absolutely love it and recommend that you consider Canyon Creek Art and Frame for your next framing project. This is THE place and Jerry is The MAN! Don't waste your time shopping around. Jerry has taste, style, customer service and quality. It is a pleasure taking things there to be framed. Jerry knows what he is talking about and makes every step simple and fast...from choosing the frames and mats..all the way to installation. I have had him frame large (5' X 3') French advertising posters to 160 year old small Japanese wood block prints. All framed wonderfully. We could not be happier with the work Jerry has done for us. Besides providing the highest quality framing, he is a pleasure to do business with, never too rushed to help design the overall look of a piece. Canyon Creek Art has framed over a dozen works for us so far. Jerry's expertise and knowledge of the materials and his gentle guidance in selection of the mats and frames gave us a great deal of confidence, and the results have always been outstanding. We would not consider going anywhere else. We recommend Jerry to everyone who appreciates great customer service and a very professional shop. As a portrait photographer I need a framer whose work will compliment the portrait. I have been a customer on a personal level for many years. Now that I have a studio, I refer my clients to Jerry for many reasons...his large selection of quality frames to choose from, the fact that he believes in strong customer service as much as I do, and his ability to listen and suggest, and better yet, to know when to do so. Jerry does an incredible job every time! Thank you for being a part of my finished product. We've been with Jerry from the beginning and couldn't be happier to see the level of success that he is achieving. It is due to the fact that he offers fantastic customer service and a wonderful product. With one simple phone call all of our framing needs are met with personal attention you just can't find these days. Congratulations, Jerry! We look forward to a future full of your work. Thanks Jerry! You did a wonderful job on all our pictures! Anyone with a large or unique picture/poster CAN'T go wrong at Canyon Creek Art & Frame. Our Cannes poster looks incredible-the living room commands attention now. Thanks again for the time and energy spent picking out the frames for everything. And the referral to the photograph shop on Maple was invaluable! From the 1st moment I walked into Canyon Creek in August '95 I was struck by Jerry's good nature, his willingness to listen to my desires, and then his eagerness to exceed my expectations. He is a true professional! After the first piece Tim and I knew that we have found the company that will always get our business. Five years later we are still getting compliments on our pieces. Even though we have moved to another state we will continue to use Canyon Creek Art & Frame. Every single time someone walks into my office for the first time, they immediately compliment me on the beautifully-framed works on the walls. Jerry does an excellent job and also does a great job of making creative suggestions when you take your pieces in to get framed. He's well worth the drive to Richardson!!! Wow! What can I say about Jerry. He did a wonderful job for my office in a very rushed time period. He's my choice for both corporate and personal art framing. You couldn't find anyone more accommodating. Canyon Creek Art has designed and constructed several framing projects for us. My wife an I like to travel to Hawaii a lot and we ended up buying a Robert Lyn Nelson print. The catch is that we wanted to frame it using rare Koa wood. No problem for Jerry, he helped us order the frame and worked with a company in Hawaii to get the materials. The framing work was excellent and we will enjoy our Cradle of Life picture forever. Canyon Creek has designed and constructed ten large individual framing projects for us over the last eighteen months. These projects were valuable rock art prints that we would not have intrusted with anyone else! Jerry has the ability to take a mere piece of paper and make it into art. His delicate handling and preservation of our valuables is simply something you do not see with other chains or corner shops. The quality of work is unparalleled. Our house looks like an art museum. We now walk around the house looking for things that we can turn into Jerry next for him to work his magic. Canyon Creek is our framer of choice. We will not go anywhere else! Canyon Creek Art is not only my corporate choice but also my personal choice framer. Outstanding service coupled with expertise, a great combination! Jerry, of Canyon Creek Art, is the only framer we use. His expertise and knowledge are a treasure. We have just redecorated our offices with 40 new pieces of artwork. Jerry's eye for design and attention to detail keep us coming back.